The room is spacious, with bed of 135, the floor has a terrace that gives a tree park perfect for sunbathing, 3 minutes there are three bus stops, the apartment has internet, appliances, three bathrooms. Rent spacious and quiet rooms in great floor with right to kitchen, bathroom (2 bathrooms) and other common areas. It is located in the center of Granada capital next to the University Square, Faculty of Law, very close to the cathedral and the Abastos market. Room for rent sunny in the morning with terrace just 20 minutes walk from the Cathedral, with wifi, appliances, elevator. Habitación con cama comodisima, armario completo para la ropa además de estantería para colocar cualquier tipo de cosa. Piso con comodidades como son calefacción con suelo radiante y de pared, aire acondicionado en todas la estancias, parque en todo el piso. Posibilidad de uso de toallas y sábanas. Además, tiene baño privado y la urbanización cuenta con piscina, padel y zona comunes. Nice two bedroom apartment with bathroom, kitchen, laundry and terrace. Beautiful spacious and recently renovated apartment located in a residential area with all services and supermarkets at the door, ten minutes from the cathedral and historic center of Granada. Spacious, comfortable, very quiet and well connected. It has all the comforts to feel at home. Quiet single room near bus station and 15 minutes from downtown on foot. Bus stop at the door. Gemütliches Gästezimmer hell und geräumig mit Aussicht in einen ruhigen Park, mitten in der City von Granada zu vermieten. Mindestaufenthalt 3 Nächte. Wohne bei Deinem Granadaaufenthalt in der Altbauwohnung einer ortsansässigen Designerin in weltoffenem tolerantem Ambiente. Wir sind 2- 3 feste Bewohner und haben ein kleines liebenswürdiges Hündchen. Zur gemeinsamen Nutzung stehen in der Wohnung eine gemütliche Terasse, die offene Küche und 2 Bäder zur Verfügung. Die Ausstattung ist einfach, aber ansprechend. Die Wohnung ist im 3. Stock, ohne Aufzug! Comfortable, beautiful and very quiet. Built-in bathroom. It has a safe. Central residential area, ten minutes from the cathedral..
Matilde tower. Beautiful room in shared apartment for students, Erasmus, Master, and workers between 18 and 30 years. With two more rooms, the doors of the bedrooms have keys to the privacy. The room is very bright, the kitchen and the bathroom are shared between the three bedrooms. The apartment is very cozy. I don't have a lift. The minimum stay is 5 months. Available from the 10th of February. 2nd floor. Terrace. Internet. sunny and bright, flooring, central heating, well located 10 minutes from downtown, access to kitchen, living room and all public areas of the house room. Full board, laundry, cleaning, and change of linen and towels, electricity, water etc. Busco compañero/a de piso para alquilar una habitación doble en un piso en el barrio del Realejo, a pocos metros de todas la comodidades. Busco una persona tranquila, limpia y seria. Vivienda amueblada en 2ª y ultima planta con suelo de marmol. Tiene 3 habitaciones (1 para invitados) independientes, 1 baño compartido con ducha, cocina compartida (microondas, placa de gas, lavadora, tendedero), salón compartido muy luminoso y balcón orientado Sur con vista al barrio y campo. La habitation es de 4x4 metros, con armarios, cama doble y incluye ropa de cama y toallas. Calefacción eléctrica individual. Aire acondicionado en el salon. Gastos non incluidos (por alrededor de 80 euros /mes). Available rooms x days and long season. 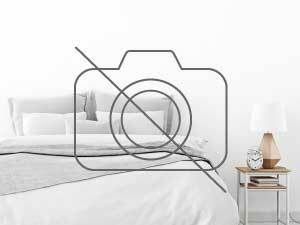 <P> Beautiful apartment, c & eacute; nitric, sunny and well connected. Ideal for up to 4 people, including s & aacute; Bedding, towels and fully equipped with everything needed for a holiday. Wifi included. Bus stop (LAC) at 50 meters and frequency of 3 minutes takes you directly to the historic center & oacute; rich city, allowing the transfer to the l LINES of the Alhambra and the Albayzin free. Possibility of private parking in the same building under Trea & oacute; n the price of 5 & euro; / d & iacute; to stay </ p>. Four bedrooms - two with queen beds and the other two with 90 beds all with wardrobes and study table with sill & oacute, n. Two rooms BATHING you with complete BATHING were great. Sal & oacute; room of 30 m2 n installed and comfortable with air conditioning. Two T. V. Color, COUCH; three seater and two armchairs bed module. Entrance hall with console, rack, double locking door, video intercom. Fully fitted kitchen, two frigor RIVER tists; cer & aacute vitro; mica: oven; microwave; dishwasher; fryer; toaster; blender; kitchen utensils; automatic washing machine and kitchenware & aacute; tica. Laundry Terrace overlooking the courtyard where the pool is located and is quite sunny (15 June to 15 September). Housing in new construction with unbeatable views. Next to the slope of the Alhambra. Luminous and new construction. Comfortable Room In A Two-bedroom Flat! I live in a comfortable two-bedded flat and I would like to rent one. If it is for a long term, you can choose the best suitable for you. One is with one window, a double bed, two night tables and a big wardrobe and the other is with two windows, a single bed, two wardrobes, a bookcase and a desk. The flat is light and very well located, five minutes walk from the downtown area and very near the bus stops to go everywhere. It is just next to Palacio de Congresos de Granada. Come and see it! Only for non-smoking girls aged over 30, please! Thanks! Recent completion floor, opposite the University of Fine Arts and Almunia Park, School of Computer Science and University of Architecture, with a special customer service. Including breakfast prices. || || large and bright rooms with exclusive bathroom, heating and air conditioning, and wireless Internet, television, washing machine and dryer, kitchen and dining and housekeeping. Easy access to city center with urban bus service at the door of the building and with a frequency of 10 m. || || Very close to bus and train (Renfe). Along with large areas of supermarkets, pizzerias, parks and sports centers. Room for rent in central apartment next RENFE with water, electricity, heating and internet included, apart from access to washing machine and kitchen. The room to rent consists of 15 square meters with a bed of 1'35 and two closets. Currently on the floor we live my mother (55 years) my dog ​​and I (27years). It is a bright, quiet apartment with no noise or problems. Smoking is allowed and only rented to girls / ladies. Cualquier persona que haya vivido en Granada puede confirmarte que la ciudad es única en todos los sentidos. Te puede ofrecer tanto playas espectaculares como montañas increíbles. En Granada puedes disfrutar del buen tiempo de la costa andaluza en inviern Vous songez à vous installer en colocation à Grenade, cette jolie ville du département Granada ? Vous n'allez pas le regretter ! Que vous choisissez de louer un appartement ou une maison en colocation, consultez les annonces de Roomlala pour Grenade. Au cœur de la région Andalucía, vivre en colocation est une pratique qui tend à se répandre. À Grenade, il est idéal de trouver un logement à partager afin de diviser le coût du loyer et les charges liées au logement telles que l'eau, l'électricité, internet... Vous trouverez certainement un colocataire ou des colocataires parmi les 232 770 que compte aujourd'hui la ville de Grenade. Il vous suffit simplement à parcourir les annonces de Roomlala, consulter les profils des utilisateurs et voir, grâce à leur description et à la messagerie, avec qui vous vous trouverez des atomes crochus. Pour commencer votre recherche, voyez les annonces de colocation à Grenade disponibles près des rues principales de la ville : Paseo de los Tristes, Calle Oficios, Cuestas de los Chinos. Cervantes, Realejo, Beiro, Centro, Zaidín... Un quartier spécifique de Grenade vous fait de l'œil ? Utilisez la carte disponible sur les pages de listes d'annonces sur Roomlala pour cibler ce quartier en particulier et voir si des logements en colocation sont à louer dans le coin. Vous avez trouvé un logement en colocation à Grenade ? Pensez à vérifier si le quartier est bien desservi en transports en commun, comme les lignes et stations de bus à proximité (Estación de autobuses de Granada, Catedral, Puerta de la Justicia). Vous préférez le métro plutôt que le bus ? Faites votre recherche et regardez quelles sont les stations de métro principales de Grenade (Alcázar Genil, Recogidas, Caleta...) et surtout lesquelles sont facilement accessibles depuis le logement en colocation. Si vous prévoyez également de prendre régulièrement le train, inutile de préciser qu'il est important de prendre ce critère en compte. Estación de Granada... quelle gare de Grenade se trouve être la plus proche du logement que vous prévoyez de louer ? Ils sont peut-être plus rares que vos déplacements en train, mais les déplacements aériens sont aussi à prendre en considération. Sachez que vous pouvez facilement prendre l'avion à Grenade depuis Aeropuerto de Granada, pour voyager vers vos destinations de vacances ou lors de vos déplacements professionnels. Vous vous découvrez une passion commune avec vos colocataires : la musique ? Ça tombe bien ! Grenade vous réserve de jolis spectacles et concerts dans les salles telles que Auditorio Manuel de Falla, Palacio de Congresos, Plantabaja. À Grenade, vous pourrez emmener vos colocataires dans les festivals les plus en vogue de la ville : Festival Internacional de Jazz, Festival Internacional de Música y Danza, Festival Internacional de Tango. L'occasion de vous retrouver dans un contexte qui change de la colocation. Si vous préférez le sport à la musique, vous pouvez proposer à vos colocataires d'assister à des matchs ou évènements sportifs. Il y en a régulièrement dans les stades connus de Grenade : Los Cármenes, Palacio Municipal de Deportes. Les évènements sportifs à ne pas manquer à Grenade : Vuelta a Andalucía, Carrera de las Fuerzas Armadas "Las dos colinas", Memorial Padre Marcelino - CP Agustinos. Si votre colocation est plus portée culture que sport, aucun problème ! Les musées de Grenade que sont Museo Arqueológico y Etnológico de Granada, Parque de las ciencias, Museo de Bellas Artes vous permettront de parfaire vos connaissances en art, histoire... et faire quelques sorties sympas entre colocs. Emménager à Grenade a ses avantages ! Il vous sera notamment possible de vous promener dans les coins sympas de la ville, comme les parcs et squares Plaza de Bib-Rambla, Plaza de los Carvajales, Plaza Nueva. L'idéal, c'est de trouver une colocation qui soit proche des points d'intérêt de Grenade : Alhambra y Greneralife, Sacromonte y Albaicín, Catedral de la Encarnación, Capilla Real, Monasterio de la Cartuja. Si vous êtes étudiants, il sera plus évident pour vous de trouver vos futurs colocataires parmi les autres étudiants de votre campus. Entre Universidad de Granada, Escuela Internacional de Gerencia, Escuela Andaluza de Salud Pública, vous ne serez pas seul à vouloir trouver une colocation à Grenade.